I’m dragging myself away from Jaipur for a little bit and heading down under for a gorgeously green feature I saw in the Garden issue of the Australian Est Magazine. House plants took a back seat for quite a while – not sure why – but they’re back with a leafy vengeance. 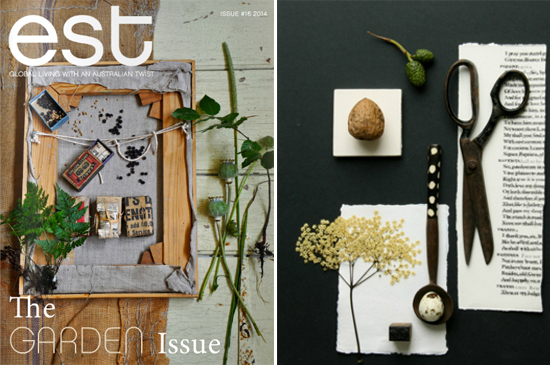 This issue celebrates the renewal of the green trend and reminds us of the reasons why we love inside greenery. My mom was a keen and capable gardener – not sure that I received that gene – and our garden was always a wonderfully lush planty paradise. Lacking her ability, I generally try to keep things simple and indigenous when it comes to our garden. There’s less chance of plants going pear-shaped if their ancient propagating urges are allowed to prosper in their natural habitat. Inside, I quite like the creative energy that plants bring. Their beauty and structure share a sense of life that furniture and accessories lack. 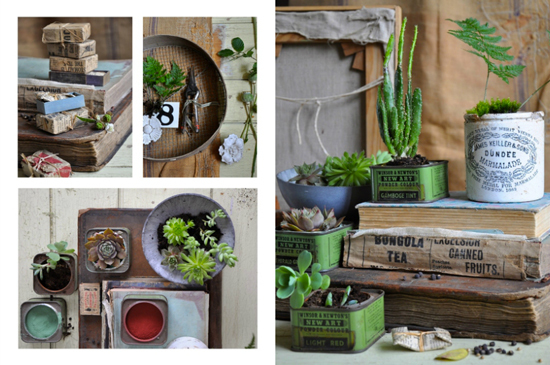 There’s great inspiration on the web for re-purposing everyday containers into creative plant holders. Take a look at my Pinterest board GREENhouse to see what’s caught my eye. As a child of the seventies, I grew up with hanging plants neatly tucked in their macramé nests. I’ve noticed that those have made a stylish comeback too. Not too long ago, I shared a DIY of a more modern version of the seventies-era macramé delights, just with less tassels. I’m also a fan of the hanging gardens from Opus. I can watch my delicious monster turning lazily in the breeze for hours. And let’s not forget the wonderful process of photosynthesis. 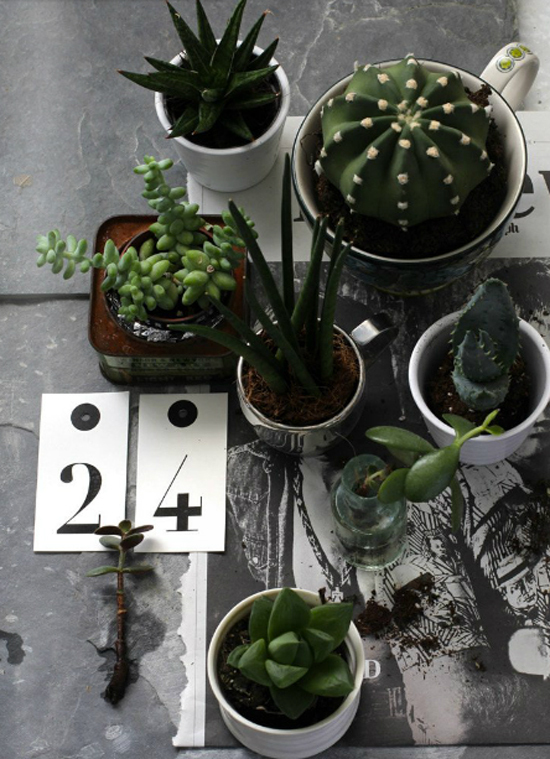 More plants = more oxygen. It’s a no-brainer, really. Take some inspiration from this Garden issue of Est Magazine and head off to your nearest garden store and green up your space. This entry was posted in decor, inspire, on my radar and tagged DIY, Est Magazine, gardens, interior, interior styling, lifestyle, o, plants on November 25, 2014 by DBS.